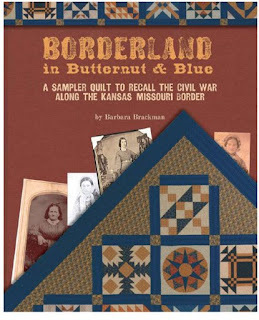 Elin Thomas sent a snapshot of her Chords of Memory Quilt, made from a pattern in my online club Underground Railroad Quilt Club for C&T Publishing. 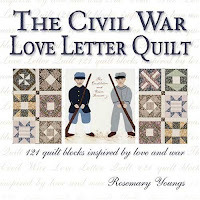 It's time to start thinking about your Civil War memory quilt to commemorate the 150th anniversary of the beginning of the War in 1861. 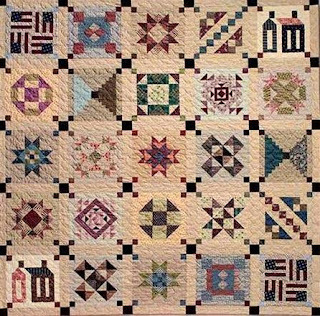 I'm going to post a block every week or so in the left column here from the online club and the Chords of Memory sampler. 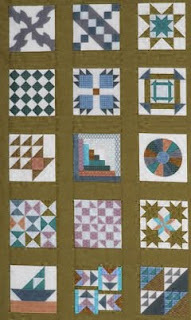 See Jun's Photo Gallery for her versions of the blocks. 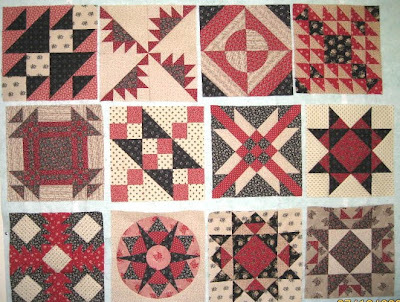 There are many samplers recalling the Civil War out there, most of them featuring traditional blocks. 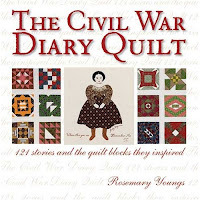 Among the most popular are Rosemary Young's books. The pattern is out of print, unfortunately. 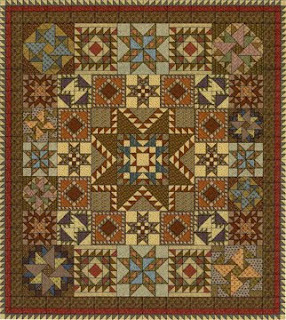 There are lots of samplers to choose from. 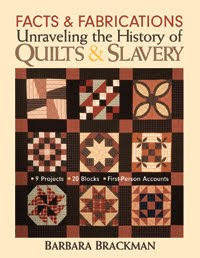 Just don't make the mistake of starting a quilt that purports to tell the story of symbolism in the Underground Railroad. 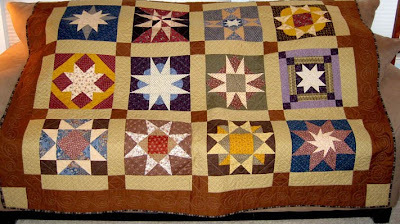 Historians agree that these supposed Quilt Code stories are misdirected history. 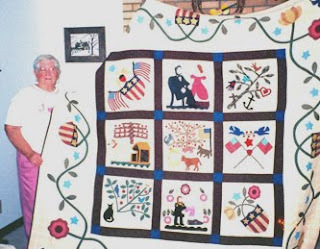 If you make one you'll regret it as you get more familiar with quilts and Civil War history. 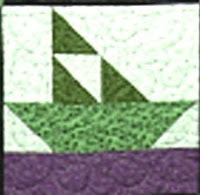 There is absolutely no way this Sailboat block, invented in the 1930s, could have anything to do with signals on the Underground Railroad. Don't fall for it. 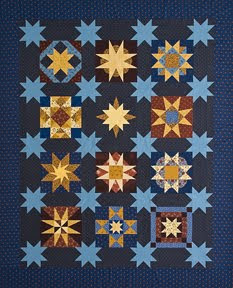 There were no quilt blocks used as symbols on the Underground Railroad.